This is a present I got from my elder nephew. He knows how keen on penguins I am. 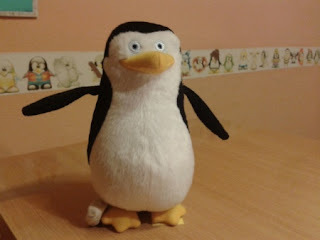 And he likes them quite a lot as well, especially the "Penguins of Madagascar". Do you fancy guessing which one this is...We haven't been able to figure it out as of now.